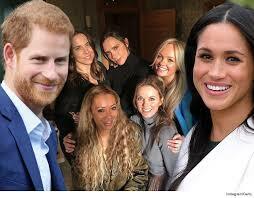 The five members of the female pop group Spice Girls will perform at Prince Harry's wedding with the American actress Meghan Markle, set for May 19 this year. Melanie Brown, in an interview with the American program "The Real" on Tuesday (27), said the singer gave a positive nod when asked if she they would sing at the party. Even so, during the talk show, the singer declined to speak more details about the invitation to the royal wedding. Kensington Palace has not yet spoken about a possible performance of the British "girl band" to date. Ed Sheeran was also tipped to attend the event, but the singer had already scheduled a performance in Dublin the same day, so he will be out of the ceremony. The announcement of the engagement between Harry and Meghan was held on November 27, 2017 after about a year and a half of dating. The Royal Wedding Ceremony will take place at St. George's Chapel, at Windsor Castle, at noon (local time). All costs of the ceremony will be paid by the Royal Family, including the services of music, food and flowers.